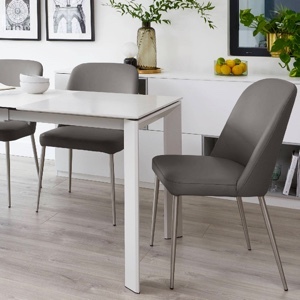 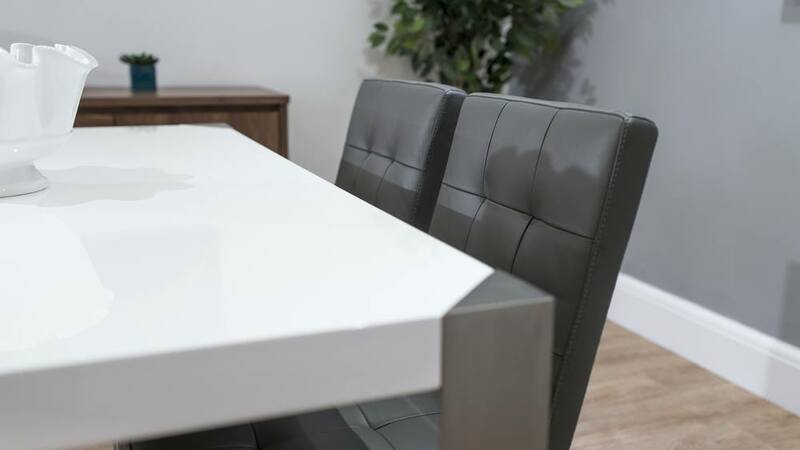 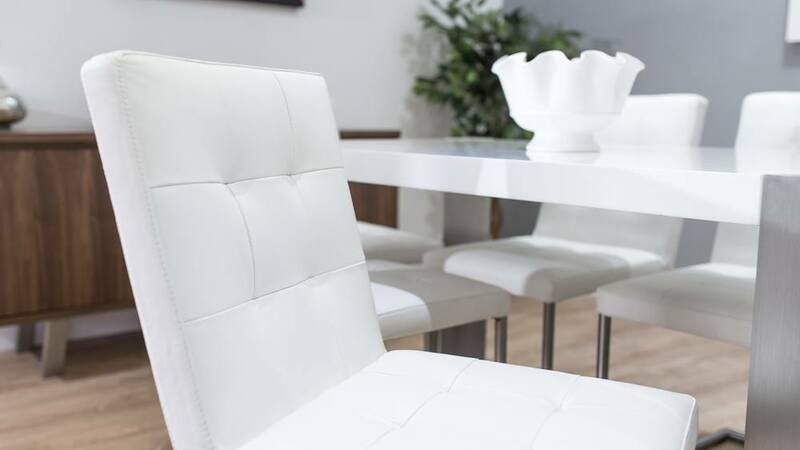 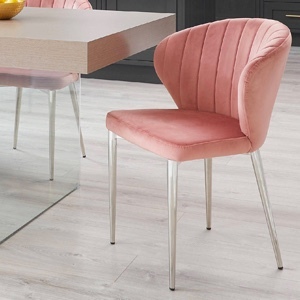 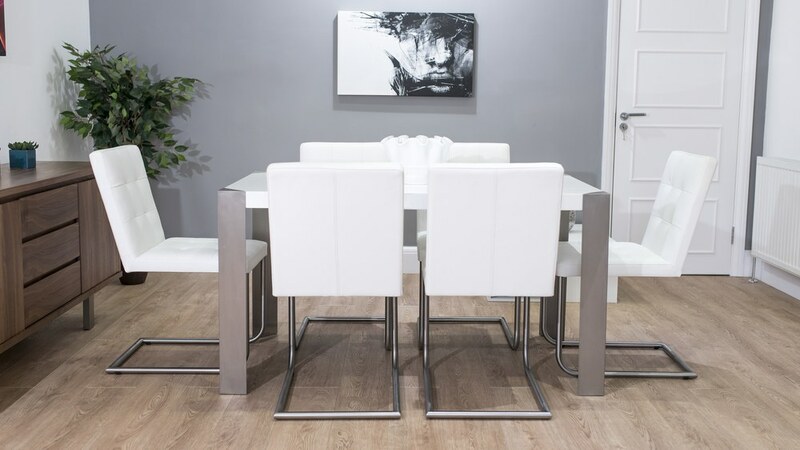 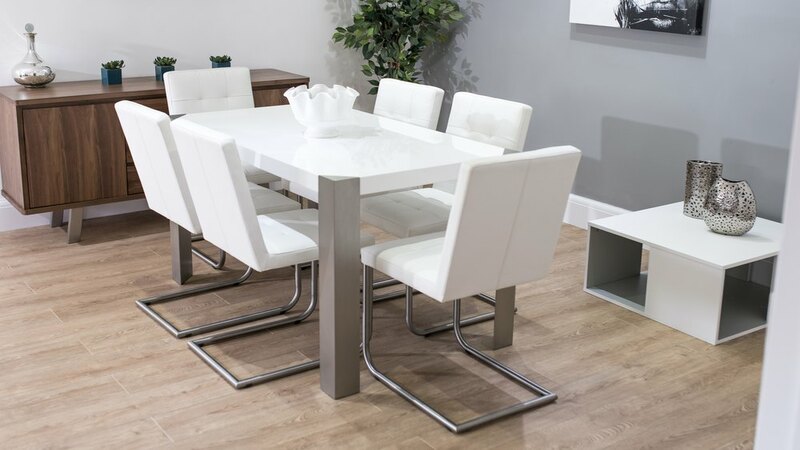 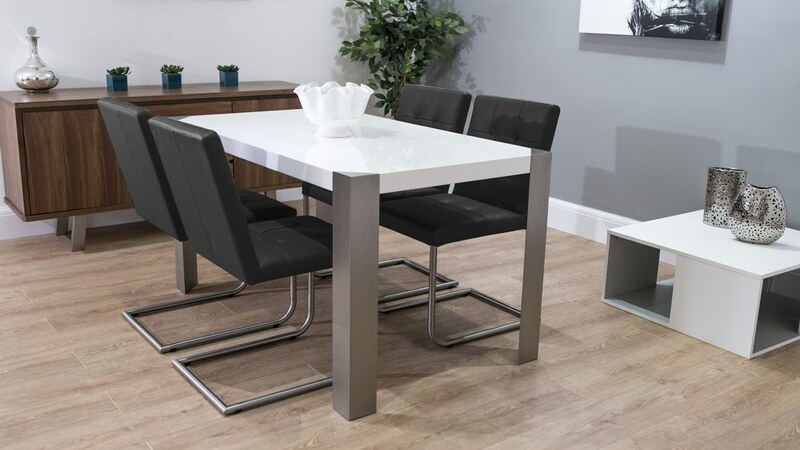 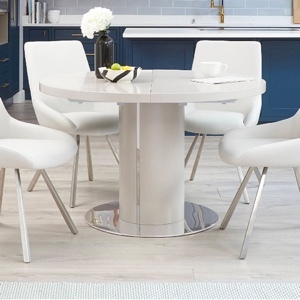 The gorgeous modern Angola White Gloss table and Danni real leather quilted dining chairs create a sophisticated 6 seater dining set perfect for any kitchen or dining room. 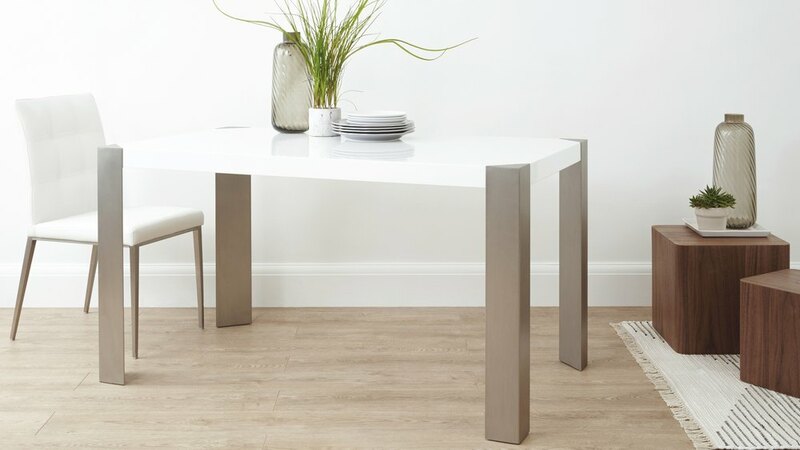 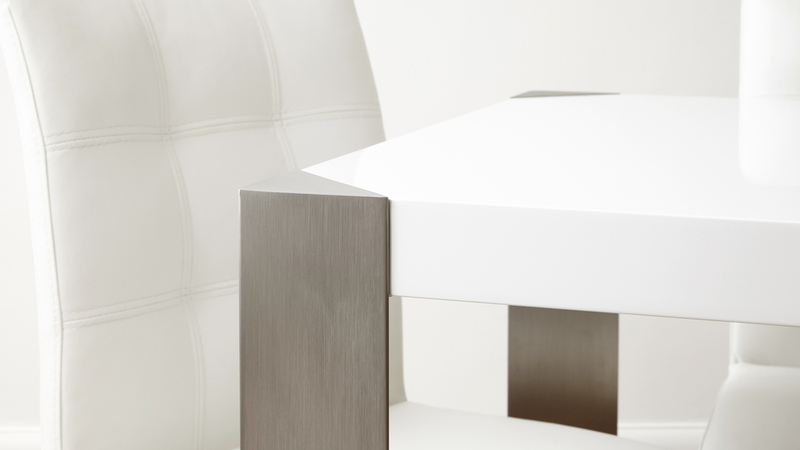 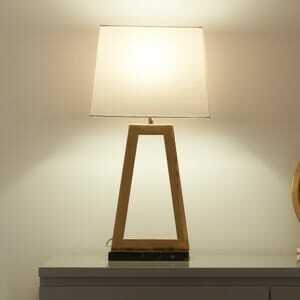 The Angola dining table is a trendy white gloss table with a simple design. 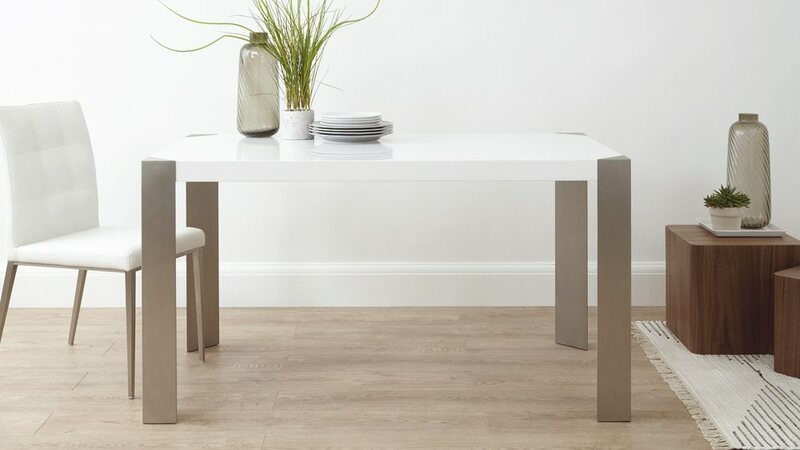 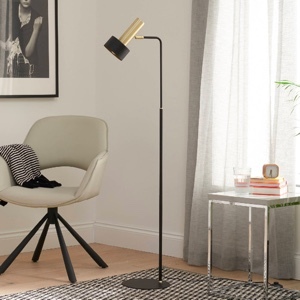 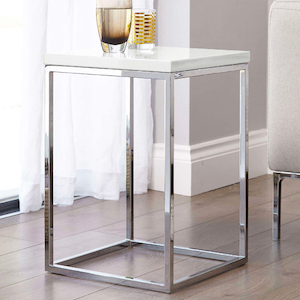 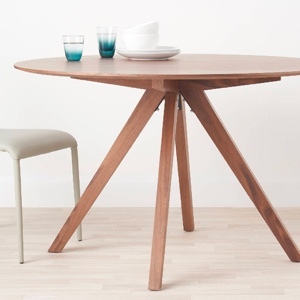 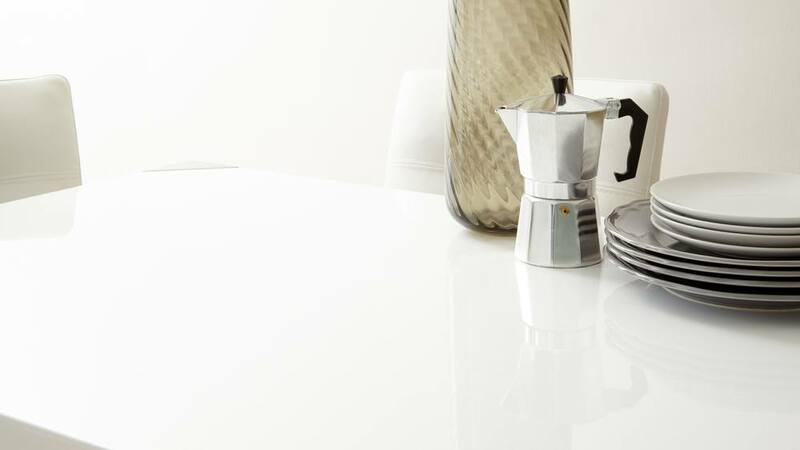 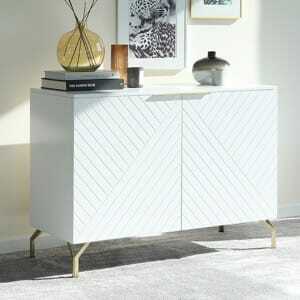 The brushed steel frame and legs complement the simple design perfectly, creating a triangular corner which adds detail to make the dining table unique. 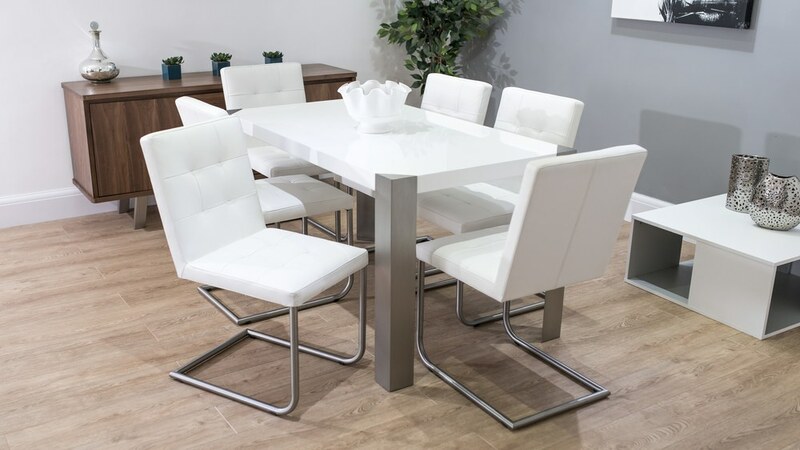 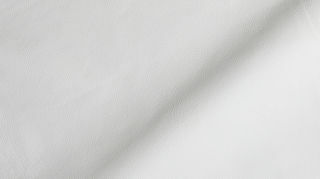 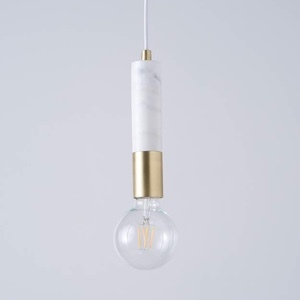 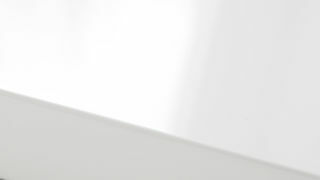 The white high gloss finish reflects the light, creating an illusion of space. 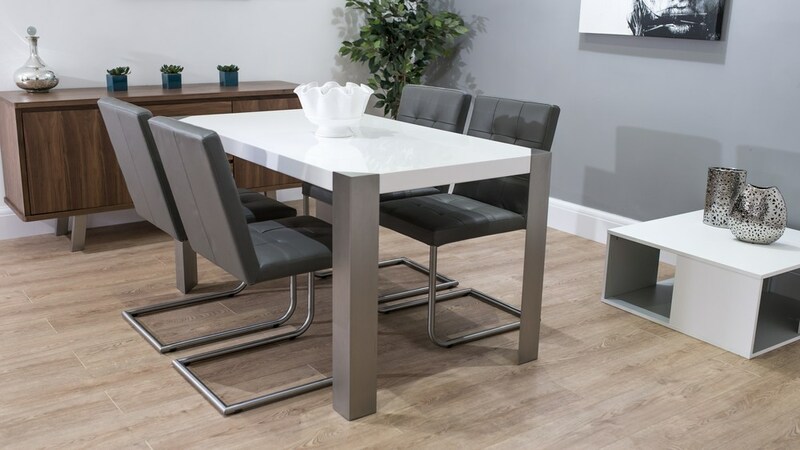 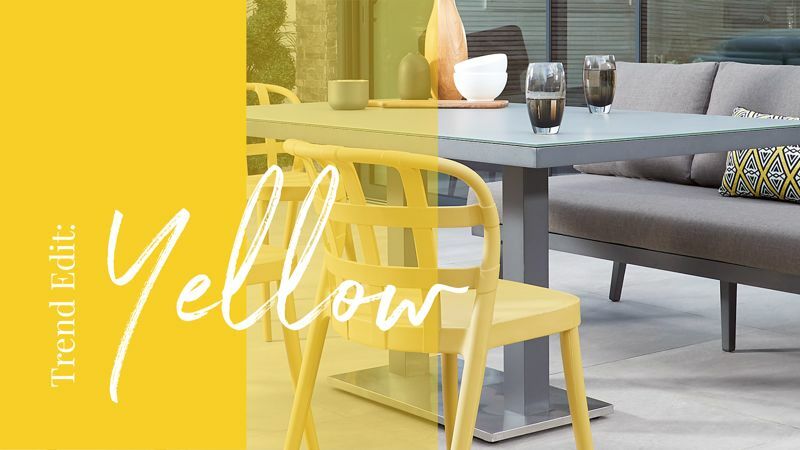 The Angola dining table is teamed perfectly with the beautiful Danni real leather dining chairs. 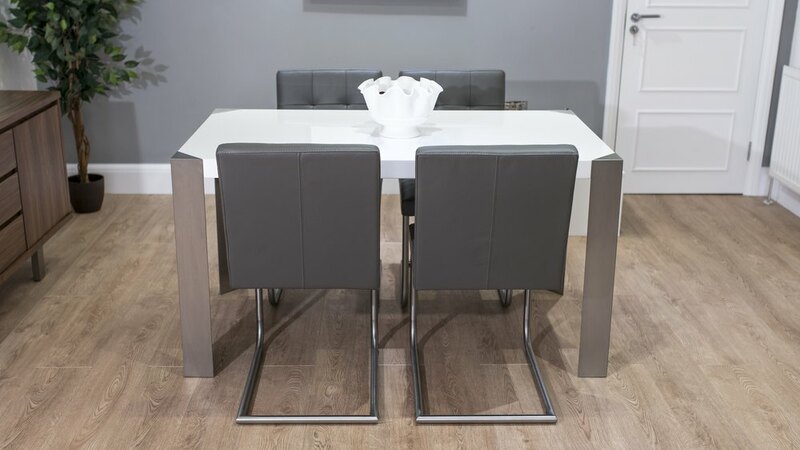 These stunning, quilted dining chairs are upholstered with comfortable foam and covered with high quality, soft, real leather hide. 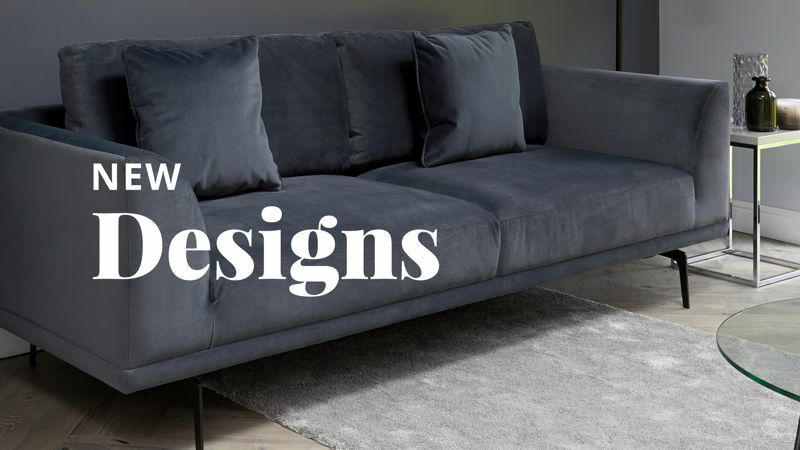 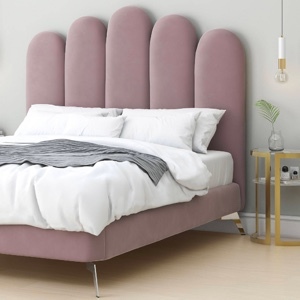 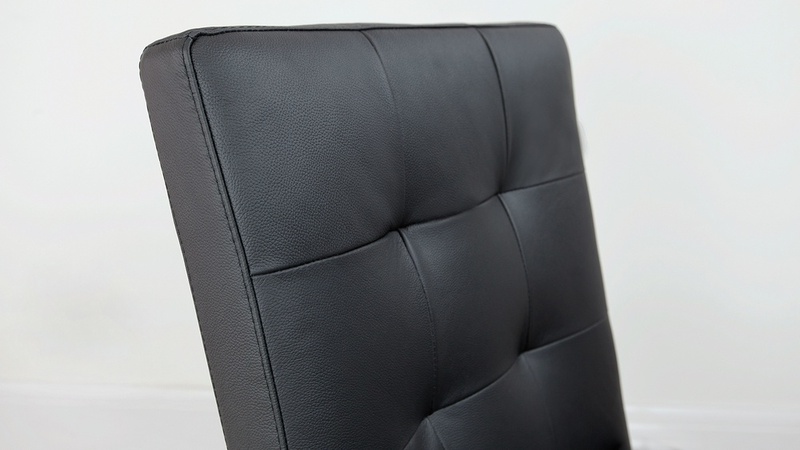 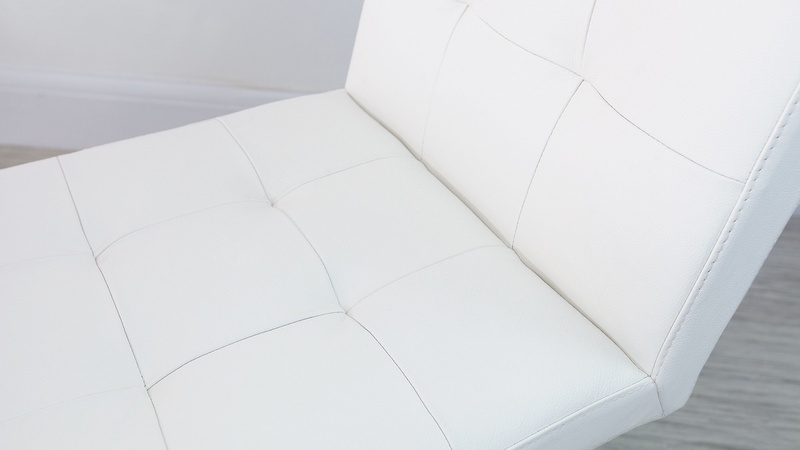 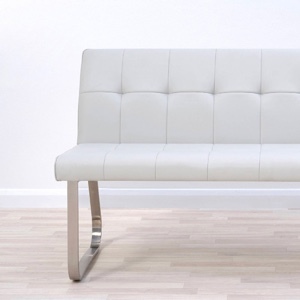 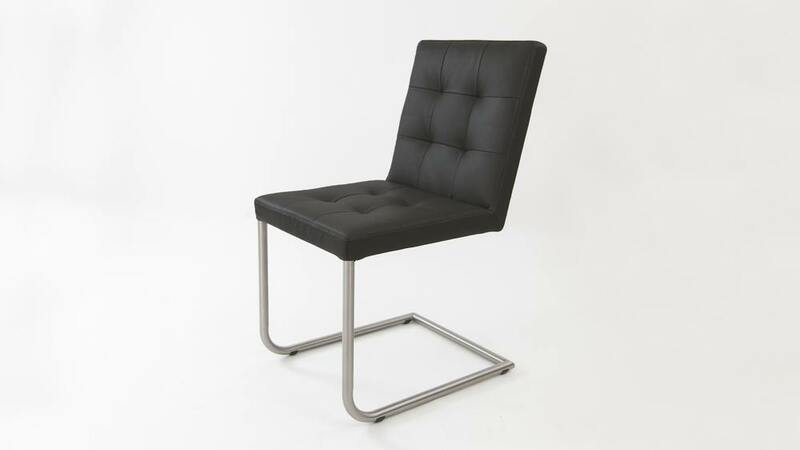 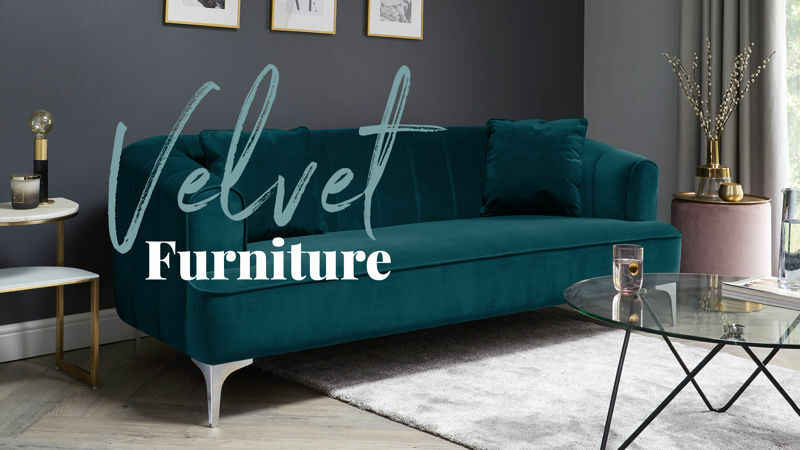 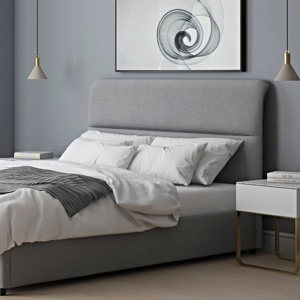 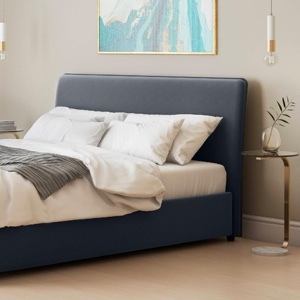 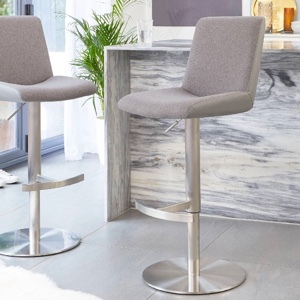 Available in modern Charcoal Grey or high fashion Pure White leather, the backrest and seat are both quilted to create a design feature and extra comfort. 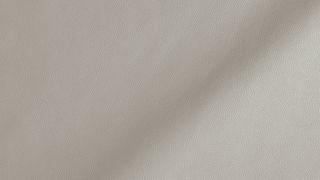 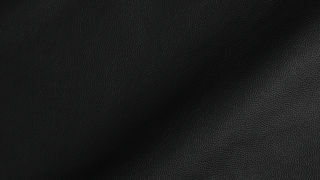 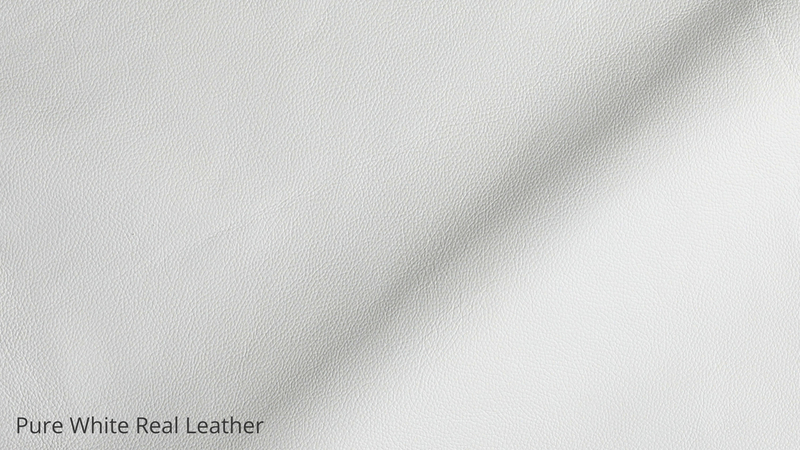 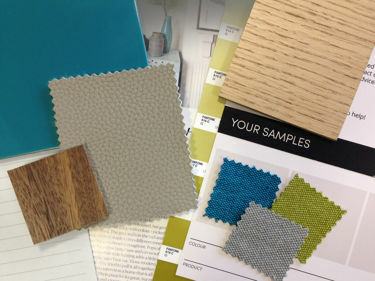 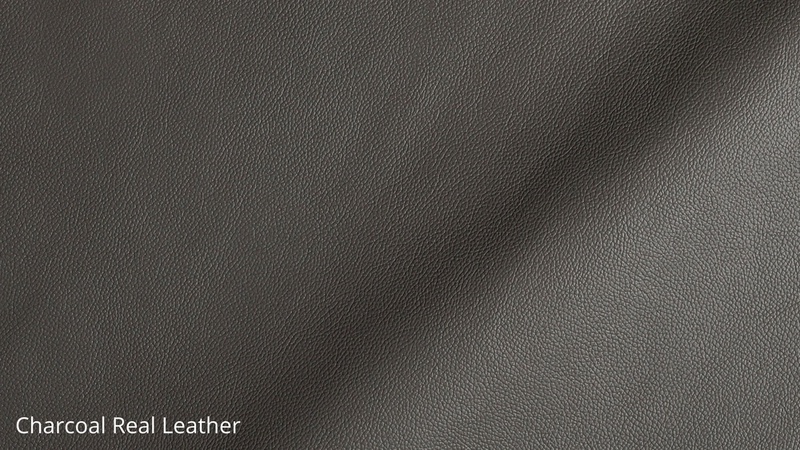 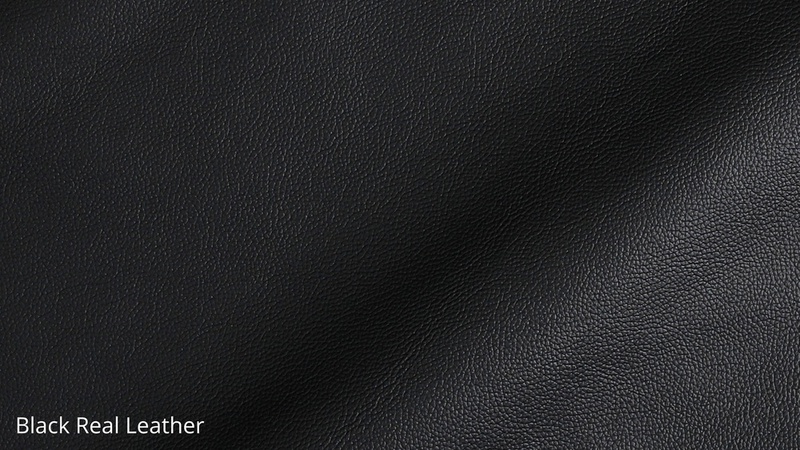 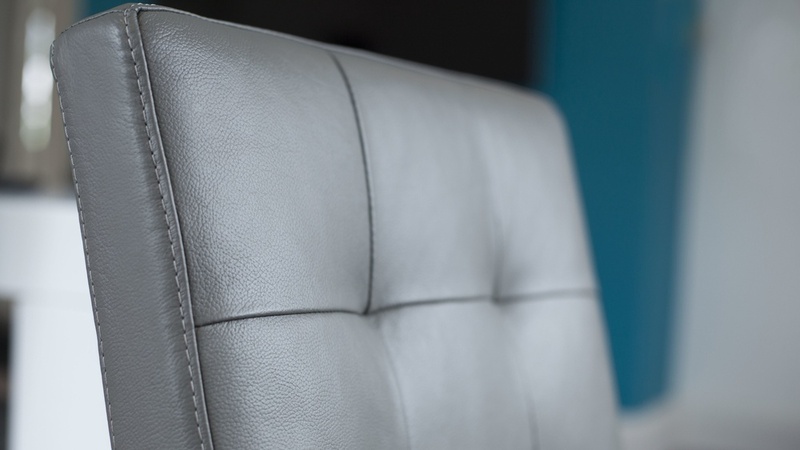 The genuine soft leather hide looks beautiful and feels wonderfully soft as well as being very hard-wearing. 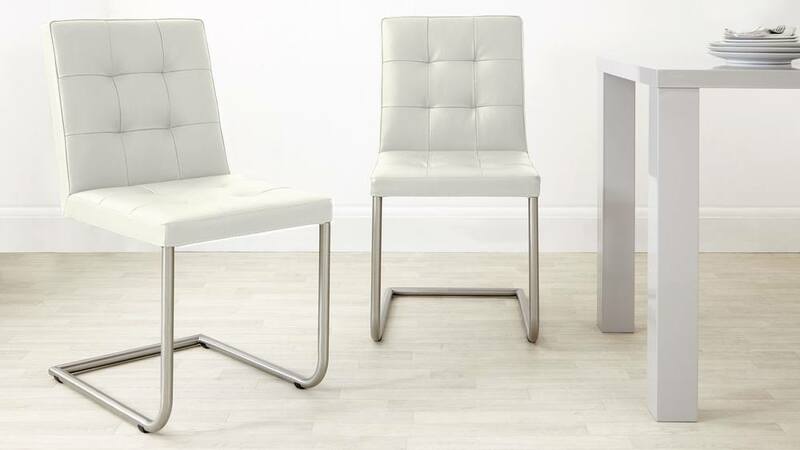 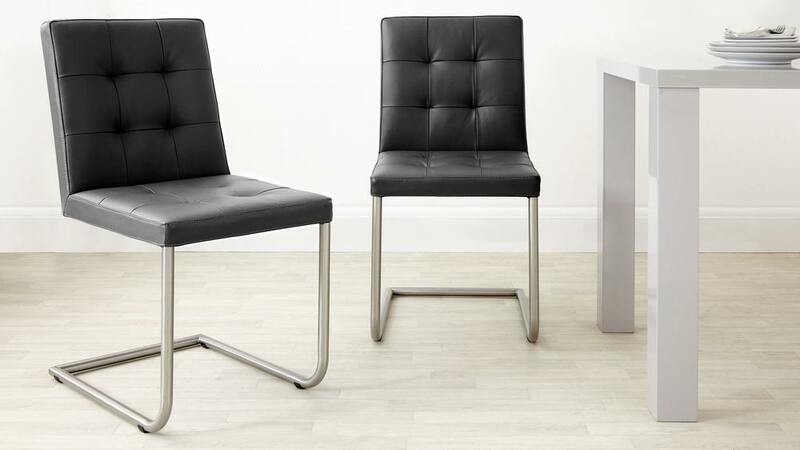 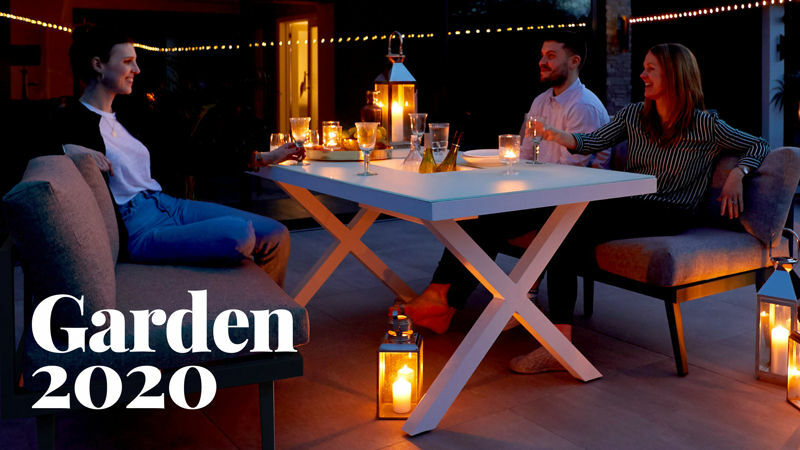 The stylish quilted seats are set upon funky brushed metal cantilever legs to match the legs of the Angola Table.